On October 28, 2016, at approximately 12:55 a.m.; Corporal Jeff Penney and Deputy Kristian Valdez were approached by a subject regarding a possible assault in progress. The deputies responded to the area of Bluebonnet Drive and Seymour Highway. Upon arrival they found a 47 year old female with injuries to her face. A 37 year old male was placed under arrest and transported to the Wichita County Detention Center. He is being charged with Aggravated Assault with a Weapon, a 2nd Degree Felony, and Unlawful Possession of Firearm, a 3rd Degree Felony. On October 28, 2016, at approximately 9:20 a.m.; Deputy Jeff Lee and Sergeant Sergio Teruel responded to the 2500 block of Kell Boulevard in reference to a theft of service. Upon arrival the reporting party stated she had not received a package she had paid for online. On October 28, 2016, at approximately 12:35 p.m.; Deputy JT Mitchell responded to the 900 block of Peterson Road South in reference to a subject receiving threats. Upon arrival, a 39 year old female stated she had been receiving threatening phone calls and texts. The evidence was collected and the investigation is ongoing. On October 29, 2016, at approximately 9:32 p.m.; Corporal Ralph Burdick conducted a traffic stop at the intersection of Seymour Highway and Kemp Boulevard. A 40 year old male was arrested and transported to the Wichita County Detention Center. He is being charged with Driving While Intoxicated with Previous Conviction, a Class A misdemeanor. On October 29, 2016, at approximately 9:50 p.m.; Deputy Joshua McGuinn conducted a traffic stop 2500 block of Windthorst Road. A 26 year old female was issued a citation for No Driver’s License, and warnings for Possession of Drug Paraphernalia Driving with No Headlight, and Failure to Maintain Financial Responsibility. On October 29, 2016, at approximately 11:00 p.m.; Corporal Jeff Penney conducted a traffic stop at the intersection of I-44 Access Road and Daniels Road. A 35 year old male was placed under arrest and transported to the Wichita County Detention Center. He is being charged with Possession of Marijuana Less than 2 ounces, a Class B misdemeanor. 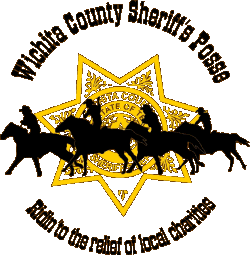 On October 30, 2016, at approximately 3:33 a.m.; several Wichita County deputies responded to the 400 block of Wellington Lane involving a high priority assault and multiple subjects fighting. Upon arrival deputies found several injured parties stating that a vehicle had been struck by a tractor. All the subjects involved were identified and witness statements were collected. The investigation is ongoing. On October 30, 2016, at approximately 12:15 a.m.; Deputy Brian Koschak conducted a traffic stop in the 3200 block of Midwestern Parkway. A 19 year old female was arrested and charged with Possession of Marijuana Under 2 ounces, a Class B misdemeanor, and 2 outstanding Wichita Falls Municipal warrants No Driver’s License. An 18 year old female was also arrested for Possession of Marijuana under 2 ounces. Both subjects were transported to the Wichita County Detention Center without incident. On October 30, 2016, at approximately 2:16 a.m.; Deputy Matthew Schenck conducted a traffic stop in the 2700 block of Kell West Boulevard. A 24 year old female was placed under arrest for an outstanding Wichita Falls Municipal warrant for Speeding. She was transported to the Wichita County Detention Center without incident. On October 30, 2016, at approximately 10:31 p.m.; Sergeant Mark Whipple conducted a traffic stop at the intersection of Kell West Boulevard and Taft Street. A 35 year old female was arrested and transported to the Wichita County Detention Center. She is being charged with Driving While License Invaled with Previous Conviction (Class B Misdemeanor), Possession of Controlled Substance in Penalty Group 3 under 28 grams (Class A Misdemeanor), and Possession of Controlled Substance in Penalty Group 1 over 1 gram (3rd Degree Felony). On October 30, 2016, at approximately 1:55 p.m.; Deputy Christopher Salas conducted a traffic stop at the intersection of Holland Avenue and Harding Street. A 23 year old male was arrested and transported to the Wichita County Detention Center. He is being charged with Theft of a Firearm and 2 outstanding Wichita Falls Municipal Warrants for No Driver’s License and Driving Left of Center. On October 26, 2016, at approximately 5:58 a.m., Sergeant Mark Whipple and Deputy Cole McGarry were dispatched to the 200 block of FM369 in reference to an unresponsive male subject. Upon arrival, the 86 year old male was found to be deceased from natural causes. On October 26, 2016, at approximately 12:40 p.m.; Deputy Roy Biter and Deputy Victoria Kamp were dispatched to the 7300 block of Seymour Highway in reference to a theft. Upon arrival the reporting party stated a welder, an acetylene bottle, an oxygen bottle, welding leads, and a concrete saw were stolen from his property. The total value of the items is $8,500. The investigation is ongoing. On October 26, 2016, at approximately 11:32 p.m.; Deputy Cole McGarry conducted a traffic stop in the 2500 block of 8th Street. The 32 year old male driver was arrested and transported to the Wichita County Detention Center. He is being charged with Driving While Intoxicated with a Blood Alcohol Content Greater Than 0.15, a Class A Misdemeanor, and Evading Arrest or Detention in a Motor Vehicle, a 3rd Degree Felony. On October 26, 2016, at approximately 11:55 p.m.; Corporal Ralph Burdick conducted a traffic stop in the 300 block of North Scott Avenue. The 44 year old male driver was arrested and transported to the Wichita County Detention Center. He is being charged with Driving While Intoxicated, a Class B Misdemeanor. On October 27, 2016, at approximately 11:32 p.m.; Deputy Cole McGarry conducted a traffic stop at the intersection of Van Buren and 9th Street. The 26 year old female driver was arrested and is being charged with three counts of Abandoning or Endangering a Child, a State Jail Felony. She is also being charged with three outstanding Wichita County warrants for No Tail Lamps, No Driver’s License, and Violate Promise to appear. As well as four outstanding Wichita Falls warrants for Speeding, No DL in Possession, Fail to Maintain Financial Responsibility, and Expired Motor Vehicle Registration. The 20 year old male passenger was arrested and is being charged with two outstanding Wichita County warrants for Possession of Drug Paraphernalia and Violate Promise to Appear. On October 27, 2016, at approximately 11:41 p.m.; Lieutenant Carl Magee conducted a traffic stop at the intersection of North Scott and Carolina Street. The 46 year old driver was arrested and transported to the Wichita County Detention Center. He is being charged with Driving While Intoxicated 3 or More Convictions, a third degree felony. On Thursday October 21, at approximately 8:01 pm, Deputy Brian Koschak made a traffic stop at the 1400 block of Sheppard Access Road. The 28-year-old male driver was placed under arrest. He was transported to the Wichita County Detention Center and was charged with Driving While License Invalid with Previous Convictions and an outstanding warrant for Speeding 54/30. On Thursday October 21, at approximately 5:16 pm, Deputy Daniel Jacobson, Deputy Brian Koschak and Deputy Josh McGuinn responded to the 11000 block of Hacker Road in reference to a Suicidal Subject. Upon arrival, a 42-year-old male was found to have taken an overdose of prescription medication. He was transported to United Regional Health Care by Electra Ambulance and was admitted. On Thursday October 21, at approximately 1:00 pm, Deputy J.T. Mitchell responded to the 7400 block of Central Frwy. in reference to a theft. Upon arrival, the Reporting Person reported that an unknown person(s) cut the locks on a gate and entered the property. Once inside a 22 ft. trailer valued at $4,500.00, a Kioti side by side valued at $6,500.00, a gas powered compressor valued at $3,000.00, a Quensic Compressor valued at $1,500.00 and five ¾” chains valued at $400.00 were stolen. On Friday October 22, at approximately 3:40 pm, Deputy Joshua McGuinn and Deputy Greg Wilson responded to County Line Road in reference to an intoxicated person. Upon arrival, a 40-year-old female was placed under arrest. She was transported to the Wichita County Detention Center and was charged with Public Intoxication. On Friday October 22, at approximately 1:01 am, Deputy Brett Brasher made a traffic stop at the intersection of Sheppard Access and Iowa Park Road. The 43-year-old female driver was placed under arrest. She was transported to the Wichita County Detention Center and was charged with Driving While License Invalid with previous convictions. On Friday October 22, at approximately 9:55 pm, Deputy Josh McGuinn made a traffic stop in the 1600 block of Kemp. The 45-year-old male driver, a 44-year-old female passenger and a 26-year-old male passenger were placed under arrest. They were transported to the Wichita County Detention Center. The driver was charged with an outstanding warrant for Capias Pro Fine-Driving While License Invalid. The female passenger was charged with Public Intoxication and Possession of Drug Paraphernalia. The male passenger was charged with five outstanding warrants for Bond Forfeiture-Evading Arrest/Detention, two counts of Bond Forfeiture Criminal Trespass, Possession of Drug Paraphernalia and Capias Pro Fine-Possession of Marijuana under two ounces. On Saturday October 23, at approximately 1:17 pm, Corporal Josh Brown stopped an individual in the 1000 block of 10th Street. The 28-year-old male was placed under arrest. He was transported to the Wichita County Detention Center and was charged with an outstanding warrant for Possession of Drug Paraphernalia. Wichita County Detention Officer Jack Lehman’s family is in need of financial support to assist with medical costs. His daughter has recently been diagnosed with a brain tumor, his son needs heart surgery and his wife who recently lost both her parents has been diagnosed with a blood disorder. Please come and show support by having lunch and donating what you can to help the Family. On Wednesday October 20, at approximately 2:48 pm, Sergeant Sergio Teruel responded to the 1300 block of Bell to serve a Mental Health Warrant. Upon arrival, a 20-year-old male was placed under arrest. He was transported to the North Texas State Hospital and was admitted under the warrant. On Thursday October 21, at approximately 8:00 am, Deputy John Glaze made a traffic stop in the 900 block of Scott. The 44-year-old male driver was placed under arrest. He was transported to the Wichita County Detention Center and was charged with Driving While License Invalid, Possession of Marijuana under two ounces and Possession with intent to use a device designed to falsify a drug test. On Thursday October 21, at approximately 7:47 am, Deputy J.T. Mitchell responded to the 900 block of Wellington Lane in reference to a theft. Upon arrival, the Reporting Person reported that an unknown person(s) stole a Lincoln 200 amp welder valued at $4,300.00. On Thursday October 20, at approximately 4:40 pm, Deputy Joshua McGuinn made a traffic stop at the intersection of F.M. 890 and F.M. 171. The 48-year-old male driver was placed under arrest. He was transported to the Wichita County Detention Center and was charged with Driving While License Invalid and three outstanding warrants for Capias Pro Fine-Turning Left from wrong lane, Capias Pro Fine-Driving While License Invalid and Capias Pro Fine-Fail to Maintain Financial Responsibility. On Thursday October 20, at approximately 11:23 pm, Deputy Cole McGarry made a traffic stop in the 4900 block of Earl. The 35-year-old female driver was placed under arrest. She was transported to the Wichita County Detention Center and was charged with Wrong, Fictitious, Altered or Obscured License Plate and four outstanding warrants for Capias Pro Fine-Driving While License Invalid, Capias Pro Fine-Improper Display of License Plate Insignia, Capias Pro Fine-Motor Vehicle Registration and Capias Pro Fine-Failure to Properly Signal Lane Change or Turn. On Thursday October 20, at approximately 2:35 am, Lieutenant Carl Magee made a traffic stop at the intersection of Kemp and Ave K. A 21-year-old female passenger was placed under arrest. She was transported to the Wichita County Detention Center and was charged with Possession of Marijuana under two ounces and an outstanding warrant for Capias Pro Fine-Noise/Vibration. On Wednesday October 19, at approximately 4:22 pm, a Wichita County Highway Interdiction Deputy made a traffic stop at the intersection of U.S. 287 and Midway Church Road. The 47-year-old male driver, Michael Joseph Daley, was placed under arrest. He was transported to the Wichita County Detention Center and was charged with Possession of Marijuana over four ounces under five pounds and Possession of a Controlled Substance PG 2 over four grams under four hundred grams. Five Pounds of Marijuana and forty grams of Hash Oil were seized. This same highway interdiction Deputy made a traffic stop on Saturday October 15 at 12:21 pm, in the 1600 block of County Line Road South where eleven pounds of Hydro Marijuana was seized. On Wednesday October 19, at approximately 4:13 pm, Corporal Ralph Burdick responded to the 1600 block of Cameron Lane in reference to a theft. Upon arrival, the Reporting Person reported that an unknown person(s) stole 5,000 gallons of water. On Wednesday October 19, at approximately 1:13 am, Deputy Cole McGarry made a traffic stop at the intersection of Monroe and Ave E. The 19-year-old female driver was placed under arrest. She was transported to the Wichita County Detention Center and was charged with Possession of Marijuana under two ounces. On Wednesday October 19, at approximately 1:10 am, Sergeant Mark Whipple made a traffic stop at the intersection of Central Frwy. and Iowa Park Road. The 31-year-old male driver was placed under arrest. He was transported to the Wichita County Detention Center and was charged with Driving While Intoxicated. On Thursday October 20, at approximately 12:53 am, Deputy Cole McGarry made a traffic stop in the 2200 block of Camelot. The 33-year-old male driver was placed under arrest. He was transported to the Wichita County Detention Center and was charged with Driving While License Invalid and Tampering with or Fabricating Physical Evidence. On Monday October 17, at approximately 1:21 pm, Deputy Roy Biter and Deputy Victoria Hatcher responded to the 1300 block of F.M. 368 South in reference to a Theft. Upon arrival, the Reporting Person reported that an unknown person(s) entered his vehicle and stole a fourteen gauge shotgun valued at $300.00, a box of shotgun shells valued at $15.00, a Ryobi sawzaw valued at $100.00, two Ryobi 18 volt batteries valued at $200.00 and two Ryobi drills valued at $200.00. The Reporting Person also reported that the person(s) entered a storage building and stole a Honda Generator valued at $1,100.00. On Tuesday October 18, at approximately 3:51 pm, Deputy Christopher Salas responded to the 8500 block of Seymour Hwy. in reference to a Burglary of a Building. Upon arrival, the Reporting Person reported that an unknown person(s) cut the lock off of a door and entered a storage building. On Tuesday October 18, at approximately 6:10 pm, Sergeant Lee Crossman responded to the 2800 block of Peterson Road South in reference to a Credit Card Abuse. Upon arrival, the Reporting Person reported that an unknown person made two unauthorized purchases in the amount of $74.10 on his credit/debit card. On Wednesday October 19, at approximately 2:41 pm, Deputy Patrick Bradford responded to 900 7th Street in reference to a Credit Card Abuse. Upon arrival, the Reporting Person reported that an unknown person(s) opened an account using her identifying information and then made purchases on the account. On Wednesday October 19, at approximately 2:47 am, Deputy Greg Wilson made a traffic stop in the 4500 block of Maplewood. The 26-year-old male driver was placed under arrest. He was transported to the Wichita County Detention Center and was charged with Driving While Intoxicated. On Thursday October 13, at approximately 2:30 pm, Deputy J.T. Mitchell responded to the 4100 block of Maplewood in reference to a Hit and Run Accident that occurred in the 2000 block of Fairview in Burkburnett. Upon arrival, the Reporting Person reported that an unknown person struck his vehicle with their vehicle damaging the tailgate. On Friday October 14, at approximately 1:57 pm, Deputy Christopher Salas made a traffic stop at the intersection of Holliday and Dodge. The 55-year-old male driver was placed under arrest. He was transported to the Wichita County Detention Center and was charged with Possession of a Controlled Substance PG 1 under one gram. On Friday October 14, at approximately 4:00 pm, Deputy Brian Koschak responded to the 1100 block of Van Horn in reference to a Credit Card Abuse. Upon arrival, the Reporting Person reported that a subject made several unauthorized charges on his credit card in the amount of $7,119.12. On Friday October 14, at approximately 3:00 pm, Deputy Gabriel Villarreal responded to Business U.S. 287 and County Line Road in reference to a Stolen Trailer. Upon arrival, a stolen 2005 CM Cargo Trailer was recovered. On Saturday October 15, at approximately 10:31 pm, Deputy Kristian Valdez and Deputy Paul Casillas made a traffic stop in the 1500 block of Grant. Upon stopping, a male passenger exited the vehicle and fled on foot. The suspect was not located. On Saturday October 15, at approximately 5:40 pm, Deputy Daniel Jacobson responded to the 2900 block of Horseshoe Lake Road in reference to an Assault. Upon arrival, a Juvenile Female was placed under arrest. She was transported to the Juvenile Justice Center and was charged with Assault/Family Violence. On Saturday October 15, at approximately 5:40 pm, Deputy Brian Koschak made a traffic stop at the intersection of Sheppard Access and Airport Drive. The 23-year-old male driver was issued citations for No Drivers License and No Insurance. The vehicle was impounded. On Saturday October 15, at approximately 12:21 pm, Deputy Justin Mitchell made a traffic stop in the 1600 block of County Line Road South. The 44-year-old male driver, Khac Nam Dinh Phan, was placed under arrest. He was transported to the Wichita Count Detention Center and was charged with Possession of Marijuana over five pounds under fifty pounds. Eleven Pounds of Hydro Marijuana was seized. On Saturday October 15, at approximately 2:30 am, Deputy Amanda Price made a traffic stop in the 200 block of Grant. The 32-year-old female driver was placed under arrest. She was transported to the Wichita County Detention Center and was charged with an outstanding warrant for Public Intoxication. She was also issued a citation for Driving While License Invalid. On Sunday October 16, at approximately 4:57 pm, Deputy Gabriel Villarreal made a traffic stop at the intersection of U.S. 287 and F.M. 1739. The 57-year-old male driver was placed under arrest. He was transported to the Wichita County Detention Center and was charged with Possession of a Controlled Substance PG 2 over four grams under four hundred grams and Possession of Marijuana over two ounces under four ounces. On Sunday October 16, at approximately 2:02 pm, Corporal Josh Brown made a traffic stop in the 1100 block of Holliday. The 32-year-old male driver was issued a citation for No Drivers License. A 53-year-old passenger was placed under arrest. She was transported to the Wichita County Detention Center and was charged with Possession of a Controlled Substance PG 1 less than one gram in a drug free zone and Possession of a Controlled Substance PG 3 less than twenty-eight grams. On Sunday October 16, at approximately 1:27 am, Deputy Matthew Schenck made a traffic stop in the 6500 block of Kemp Blvd. The 23-year-old female driver was placed under arrest. She was transported to the Wichita County Detention Center and was charged with Driving While Intoxicated. On Sunday October 16, at approximately 12:20 am, Deputy Daniel Jacobson made a traffic stop in the 4100 block of Burkburnett Road. The 46-year-old female driver was placed under arrest. She was transported to the Wichita County Detention Center and was charged with Driving While Intoxicated. On Sunday October 16, at approximately 7:33 pm, Sergeant Lee Crossman, Deputy Daniel Jacobson, Deputy Brian Koschak and Deputy Greg Wilson responded to the 200 block of F.M. 369 in reference to an Assault. Upon arrival, a 44-year-old male was placed under arrest. He was transported to the Wichita County Detention Center and was charged with Assault/Family Violence. On Sunday October 16, at approximately 5:10 pm, Deputy Brian Koschak checked on an abandoned vehicle on I-44 and East Road. The vehicle was impounded after the registered owner could not be located. On Sunday October 16, at approximately 11:32 pm, Deputy Matthew Schenck responded to the 1700 block of F.M. 1740 in reference to a Disturbance. Upon arrival, The Reporting Person reported that he was threatened and harassed by a subject. On Monday October 17, at approximately 1:31 am, Deputy Matthew Schenck made a traffic stop in the 2300 block of Kemp Blvd. The 42-year-old male driver was placed under arrest. He was transported to the Wichita County Detention Center and was charged with four outstanding warrants for Speeding 35/25 in a school zone, Disregard No Left Turn Signal, Speeding 77/60 and Failure to Maintain Proof of Financial Responsibility. On Wednesday October 12, at approximately 9:45 pm, Corporal Ralph Burdick made a traffic stop at the intersection of 11th and Lamar. The 44-year-old male driver was issued a citation for No Drivers License. The vehicle was impounded. On Thursday October 13, at approximately 12:57 am, Kristian Valdez, Deputy Paul Casillas and Deputy Matthew Schenck made a traffic stop at the in the 2100 block of Ave F. The vehicle then fled the scene. It was finally stopped in the 2700 block of Ave O. The 43-year-old male driver, Paul George Kinnard, was placed under arrest. He was transported to the Wichita County Detention Center and was charged with Evading Arrest or Detention with vehicle, Possession of a Controlled Substance PG 1 over one gram under four grams, Aggravated Assault on a Public Servant and an outstanding warrant for Parole Violation. On October 11, 2016, at approximately 12:51 a.m., Deputy Amanda Price conducted a traffic stop in the area of Rifle Range Road and US 287 South. The 36 year old male driver was issued citations for Possession of Drug Paraphernalia and Defective Headlamp and released from the scene. On October 11, 2016, at approximately 11:00 a.m., Deputies Roy Biter and Victoria Kamp were dispatched to the 2000 block US 287 in reference to a theft. Upon arrival the reporting party stated a welder and trailer were missing from his property. The total value of the items is estimated to be $5,000. The investigation is ongoing. On October 11, 2016, at approximately 1:32 p.m., Deputies Roy Biter and Victoria Kamp were dispatched to the 1200 block of Lentz Road in reference to an animal bite. Upon arrival, the reporting party stated he had been bitten by a dog in the area. The case was turned over to animal control.